Plan with environmental stewardship in mind. 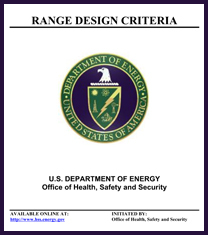 Before you design, build, redesign, or modify a shooting range, plan from the very beginning so it conforms in all ways to the highest health and environmental standards. Your environmental stewardship plan is not only your road-map to countering environmental impact, but also a declaration of your civic responsibility. While you may associate such plans with outdoor ranges, where lead can directly contaminate water and soil, indoor audits are equally important. Ventilate adequately so your customers can breathe easily. An adequate ventilation system accounts for a substantial amount of the cost for interior equipment for a range. Consequently, you must recognize and adhere to health standards when you specify the range ventilation system. The major concern of regulators is not as much for the law enforcement and commercial range users as it is for your employees or range master, who will be spending much of their time in the shooting environment. Find out what the regulations are and build to conform. The advice here is to plan for state-of-the-art ventilation equipment rather than risk being forced to upgrade later or totally retrofit an inadequate system at considerable expense. A professional HVAC engineer with range experience should design the healthiest air re-circulation system that meets current government regulations. Properly designed ventilation systems should remove contaminants such as airborne lead. The goal is 100 percent fresh air for all shooters all the time. Consider rubber media as well as steel bullet traps. Ballistic containment requires a careful examination of your own situation. Every range project is unique. First, identify the shooting activities to be conducted along with the type of weapons and ammunition that will be used. These parameters will influence the type of bullet trap that is the most effective for your range. Here, too, you must assess the environmental performance of the bullet trap to ensure long-term range sustainability and mitigation of lead hazards. Although some experts consider rubber as the best bullet trap technology for capture and containment, both steel and rubber traps have advantages for ranges. Using the expertise of a qualified consultant can help you determine the best trap for your situation. Educate range personnel and frequent users about protective health measures to prevent lead poisoning. All employees must understand the risks of airborne lead and the necessity of precautionary measures. In addition, the National Shooting Sports Foundation (NSSF) suggests that employers establish a Lead Medical Program as a ‘barometer’ of their safety measures. If such a program is not workable, any employee exposed to lead throughout their lifetime should regularly measure the residue absorbed in their bloodstream. Recycle lead and other munition waste. Most munitions are both recyclable, and can return money to a range facility. In fact, successful munitions management in the military has already been emphasizing recycling. Explore phasing out lead bullets consistent with your budgetary resources. Bullets manufactured from plastics, composites or other non-lead cores are becoming increasingly available. 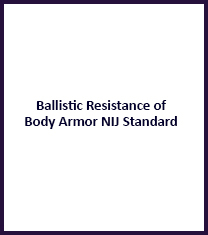 Although these training-only bullets cannot be effective in actual law enforcement on-duty use, they have projectile dynamics that can be helpful in range training. A transition to alternative materials might meet some of your range needs. When appropriate, introduce realistic training simulators. Realistic simulators can be especially useful for new or ‘problem’ shooters since they have no significant environmental impact. Law enforcement, commercial and multi-use ranges have been increasingly incorporating virtual training facilities. Some combined virtual and live-fire systems allow a seamless transition within a day’s training. For law enforcement, virtual scenarios can have an added advantage if they realistically implement an up-to-date ‘use of force’ legal case study with a known outcome. At a time when federal and local leaders have raised concern that recent incidents may inhibit effective law enforcement, these simulations can enhance officer knowledge and confidence. To avoid hearing damage, understand how to measure noise levels and keep them within safe ranges. The best gun range designs always address two primary noise considerations: the sound level within and noise transmission outside of the range. The sound produced by gunfire seems deafening outdoors, but when the acoustical energy is confined to an indoor space as in a firing range, it gets even louder. To protect against hearing damage, one’s 24-hour noise exposure at the ear should not exceed 70 decibels, a weighted sound measurement that describes the level of sound and noise. Divide your range into bays to allow modular cleaning and maintenance. 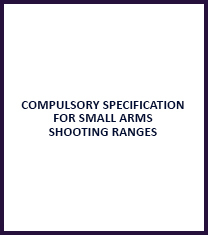 If your range will exceed 12 shooting points, bays can help you manage your capacity. For example, keeping your range clean and well-maintained is critical to a good environment. However, it can be costly to shut down an entire range for the cleaning process. 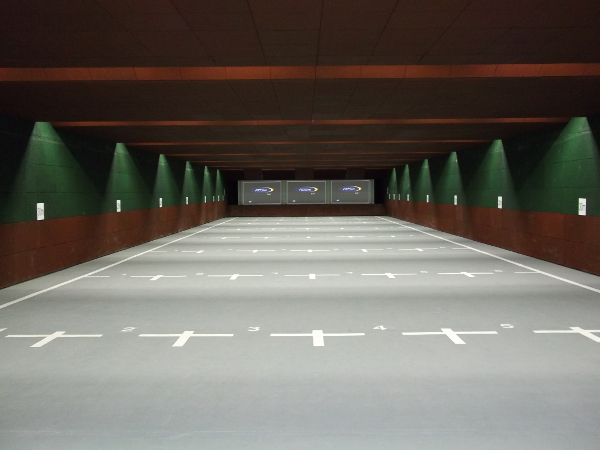 With separate shooting bays, you can stay open for activity. Generally a 10-point range will function more efficiently if divided into two bays of five points each and a 12-point range into two bays of six points each. By dividing the range into bays, you can improve other inefficiencies, e.g. lighting and ventilation of only those shooting bays being used at the time are in operation. You can also separate shooters by skill levels and conduct training classes without interference. Eye protection is essential for anyone using a firearm, whether at a shooting range or in a forest or field. After all, shotguns and rifles are held on the shoulder, while handguns are no more than an arm’s length away. These different shooting activities all occur in close proximity to the face, which means you should take every precaution to shield your users’ eyes from harm. She adds that with today’s ammunition and extensive use of jacketed or semi-jacketed bullets, there is an increased chance that a small particle can return toward the firing line and cause injury to shooters. The enforcement of a policy requiring the use of shooting glasses or safety glasses is a must. The use of firearms by law enforcement is in the spotlight. These guidelines can help ensure a safe and successful year for your training.